You are currently browsing the tag archive for the ‘Simmons’ tag. After a four and a half year relationship, your man finally popped the question. It took you less than five seconds (he’ll say it was more like the longest minute of his life) to give him an answer. Now you’ve set the date, you’ve widdled down the guest list, you’ve hired a wedding planner and you rented the hall. Your next task is creating a gift list. Our recommendation, “Suggest a new bed.” It will be the most useful gift you receive. The truth is, you’ve slept on your tired out mattress for too many years. 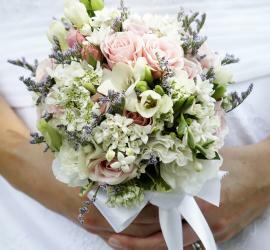 A new marriage is a fresh start to a relationship. Ditch the old has been and embrace a sleeping foundation that will provide years of comfort, fun, pain relief and hours, upon hours of undisturbed sleep. Your intimate moments are poised to climb to new levels, so enjoy them in comfort. You also may be expecting a little one in the not-so-distant future. Finding significant rest will now become priority number one. And finally, we probably don’t need to mention it, but just in case-choose the largest size mattress that fits comfortably into your bedroom. There is nothing romantic about squeezing onto a twin. You both need your space. Trust us. So go with the mattress professionals and suggest Simmons Mattress Gallery. Feel free to visit us beforehand and test-drive the models you are considering. It will be a nice break from licking envelopes. 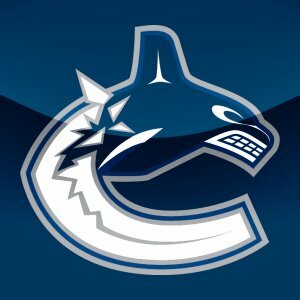 The mighty Vancouver Canucks are now two games away from completing the longest road trip in NHL history. It all started with a 5-3 win over the dismal Toronto Maple Leafs on the 30th of January. Since then, the club has been able to hold on to an impressive road-trip record, slightly over 500. The 14 games away have been spread out over 40 days and three different months. That’s more than 39 nights that the boys have been away from their beds. They have probably slept in over ten different hotels. This Wednesday, they return to Vancouver after their final road game against Phoenix. They are leading their division and looked poised for a strong stretch run. But come Wednesday night, I doubt the Canucks will be thinking about their impressive record or the resurgence of Kyle Wellwood. No, the boys will have one thing on their mind: sleep. It’s what every athlete requires to perform at a top level and for over a month the Canucks have been asked to find their rest in foreign settings. On Wednesday, each player will sink into his bed after arriving on the red-eye from Phoenix. There may be a short physical moment with their significant other, but then it’s lights out. The sweet melody of Tommy James and the Shondells suddenly fills my bedroom. It’s 6:45 and it’s time to rise and shine. Well, at least rise. There will be no visible shine until after a shower and two cups of coffee. And even then it will be more of flicker than a shine. 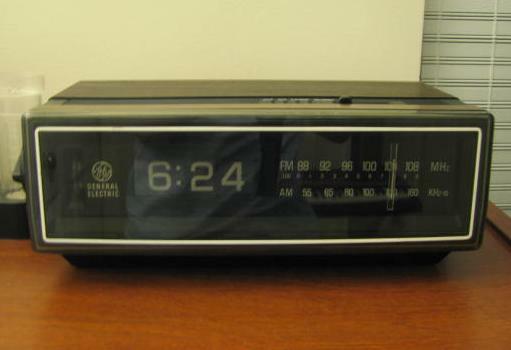 My clock radio has been performing its duties since the mid 90’s, a solid timepiece with a speaker as scratchy as an apartment intercom. But it’s not the sound quality that saves it from the trash; it’s the little clock’s reliability. It’s never failed me. Not once. I may have forgotten to set it and for that I take full responsibility. But when I have punched my desired digits, it’s executed its task beautifully. Some of you may rely on a significant other for a morning nudge. But I warn you, be careful, human error is unavoidable. She may promise you that she’ll pull off the sheets right at 7:00, but if her sister calls from New York and they get chatting, you might become an afterthought. Try explaining to your boss how Liza’s new man made you miss the performance meeting. Then there are those of you who sleep with the curtains open to the east, ready for the sunrise to wake you softly from your slumber. This method is fairly inefficient, especially in the cloud cave of Vancouver. But if your granola can wait, who am I to tell you to abandon your faith in Ra. And then there are the ‘lucky’ few of you who are able to wake naturally, right at the desired time. To you, I offer my condolences. For you, my friend, are the product of unconscious stress. Your body releases a hormone called adrenocorticotropin, as a product of your anxiety. You may feel privileged to be free of an alarm, but your nervous nature has your internal clock in a full mount. Try releasing some of that stress to free you from subconscious submission. No, the best way, I figure, is to partner with a simple bedside box. You set it and forget about it; confident it will perform its task in the morning. It’s good advice, for a number of reasons. First, going to bed without a resolution prolongs the argument. The problems are still there in the morning. Your bed, no matter the make, is not a magic pad that eliminates the issues of your disagreement. Secondly, going to bed angry means neither of you will get the rest you deserve. Sleep is intended to give your body time to recuperate from the day’s activities and mental stimuli. If you are both upset about what has been said, your body and mind will not be able to relax. You will wake up just as tired as when your head hit the pillow. Tired people are cranky and are often unwilling to discuss issues in rational terms. The morning after a restless sleep is not an appropriate climate for discussion. Thirdly, you are on a mattress. Why not resolve the argument so you can enjoy the other activity that mattresses supply the setting for. At Simmons Mattress Gallery we want you to enjoy our product. There is no enjoyment in sharing a mattress with someone you are fighting with. So listen to the advice of your friends. Spend the extra time before you fall asleep resolving the issues of your argument. You will thank us. Getting a decent amount of rest each night is important for everyone. In the professional world, an 8-hour, undisturbed sleep, allows us to work to our full potential. It keeps us alert and focused. It also increases our ability to work longer hours. For some of us, coffee might have the same affect, but the healthy choice is obvious: more sleep equals better productivity. The same principal applies to our children. As competition grows for Post-Secondary entrance, more and more young people are neglecting healthy sleep over hours spent studying. It is important to remind our children that sleep deprivation is much more detrimental to their learning potential then they realize. On average, teenagers need approximately 10 hours of sleep each night. Younger children need even more. One way to help your child receive the rest they need is to encourage a sleep schedule. If, once they are in bed, they have trouble falling asleep or staying asleep, the problem could be the mattress they are lying on. Often children are given mattresses that are passed down and have worn out springs. These mattresses might look like an easy way to save money, but they may be hurting your child’s potential. The money you spent on a tutor could be going to waste if your child is not able to maintain concentration, due to a lack of rest. A smart investment would be a new mattress from Simmons Mattress Gallery. Simmons has a huge selection of mattresses for every person in your household. Come browse our store with the whole family. Your children will thank you. Try watching TV without a remote. It’s harder than you think. With the remote in our hand we have power, the same power we strive for in our relationships, at work, even in the kitchen. That power is now available in the bedroom, with Simmons Adjustable Beds. Whether you are watching TV, reading a book or just relaxing, you have control of your bed’s contours. The Basic Model features a ‘one touch flat’ bed function. The Deluxe Power Foundation has the ‘one touch,’ a massage option and a cordless remote. The Wallhugger Power Foundation has the same features as the Deluxe with an added component that maintains your proximity to your headboard. Pair your choice of Simmons mattress with one of these Power Foundation options and enjoy the relaxation you deserve, with the power you strive for. Check out our new website: Mattress Vancouver. Simmons Mattress Gallery has a new website. Mattress Vancouver has a new site! There is a new website for mattress Vancouver retailer, Simmons Mattress Gallery. Check it out at Simmons Mattress Gallery. Simmons has been making quality mattresses since 1925, when it introduced the first Beautyrest mattress, featuring the patented pocket coil. It immediately became one of the most popular mattresses of all time. The secret is in the pocket coils. No other mattress can compare to the patented technology. Three coils are woven together for increased strength and durability. Nestled within individual pockets, they ensure that there is never any motion transfer between partners. After all, the good life should continue for 24 hours a day. We are now having our Mismatched Sale. If you are looking for a mattress in Vancouver and possibly a different bottom, then this could be the perfect opportunity for you. Our mattress Vancouver sale is offering beds up to 55% off. You can walk out of here with one of our $999 Beautyrests. But hurry, supply is limited and the beds are going fast. Mattress Vancouver's mismatched sale is now on. At Simmons Mattress Gallery we pride ourselves on our professionalism. We don’t see our customers as one-off consumers, but rather we try to foster long-term relationships built on years of good, quality sleep. We want you to remember our helpful advice, and enjoy a wonderful bed, for years to come. Our efforts have not gone unnoticed. For seven years running we have been voted the Best Mattress Store at the Consumers’ Choice Awards. With showrooms in Vancouver, Victoria or Coquitlam, Simmons Mattress Gallery makes it easy to find the bed that is right for you. We are the mattress professionals, with a friendly and knowledgeable staff and a showroom stocked with the best of the best brand out there: Simmons. Right now, there is a Beautyrest Sale, where you can enjoy a luxurious night’s sleep for up to 60% less. This sale only comes around once a year, so don’t delay, it ends October 4th. Pocket coil? What’s a pocket coil? You have probably seen the ads where a man in a white labcoat drops a black bowling ball on a mattress and none of the bowling pins are disturbed. This, of course, is a simple way to show that your partner could be doing jumping jacks on one side of the bed and you’d never even know. How is this possible? The answer is the revolutionary pocket coil technology found exclusively in Simmons Beautyrest mattresses. As you will see in the diagram below, the springs are not attached to one another, rather they rest independently in their own “pocket.” This allows enough ‘give’ so that when you put pressure on the mattress, on the coils you are touching are affected, while the rest of the bed remains still. If you are looking for a mattress Vancouver, you need to bear in mind a few things. 1. You should research the best mattress store in Vancouver based on some facts. Simmons Mattress Gallery has been voted the Best Mattress Store in Vancouver for 7 consecutive years by the Consumers’ Choice Awards. That is people like you voting – real people – not magazines. 2. You should also source out the best mattress in Vancouver by going online and doing a little reading. This Mattress Vancouver blog, for instance has everything from better sleeping tips to helpful hints in what to look for when shopping for a mattress in Vancouver. 3. If you are in need of a new mattress, Vancouver, then you have come to the right place. Simmons Mattress Gallery is the home of the mattress professionals. Feel free to call us at 604 733 0166 and we will gladly help you find a new bed that you love. 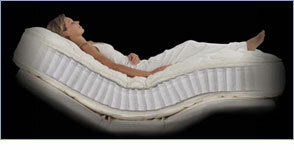 Follow us on twitter and receive TWO FREE PILLOWS with the purchase of any Beautyrest.